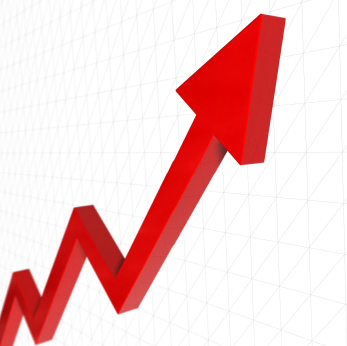 American business depends on trucks and drivers to move more than $700 billion worth of goods around the nation each year. 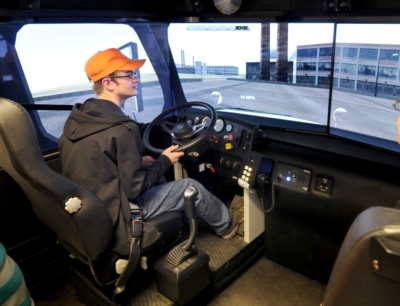 Salina Tech’s Commercial Truck Driving program uses a broad curriculum that blends classroom instruction with over the road driving education. From preparation and pre-inspection, to vehicle systems and hazard awareness, the program will teach you everything you need to know to start a new career in just 8 weeks. This 8-week program meets from 8:00 to 4:00, Monday – Friday (Some night driving will occur during the driving section of the program). The program consists of approximately 336 hours of instruction. Upon successful completion of the program, students will earn a Certificate of Completion from Salina Tech, and have the opportunity to take the CDL driving examination to receive their Class A CDL license. Already have your CDL? 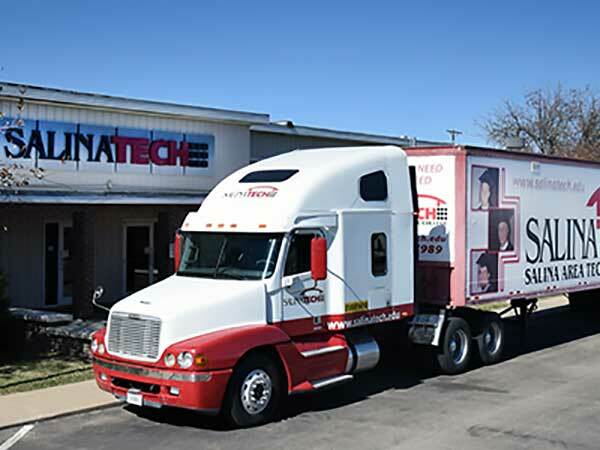 Salina Tech offers a separate online course allowing drivers to earn endorsements for hauling hazardous materials, passengers, and more. Observe Hour of Service requirements through proper record keeping. David John, Jr. has been the Commercial Truck Driving instructor at Salina Tech since April of 2017. He served in the U.S. Army since 1998 in various transportation and logistical jobs — most recently as truck master for the 24th Composite Truck Co. at Fort Riley, where he organized and supervised driver training, truck routing and scheduled maintenance. 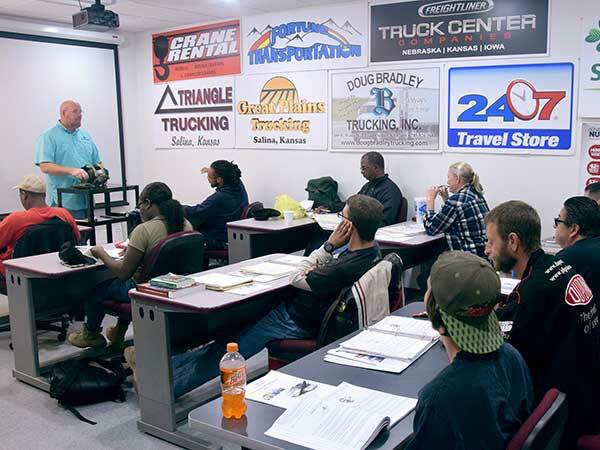 He also was an instructor/writer with the 58th Transportation Battalion at Fort Leonard Wood, Mo., where he planned, prepared, wrote and presented training on driving and maintenance of semis for more than 4,000 students each year. During Operation Iraqi Freedom, David served as supply manager for the First Infantry Division’s 3rd Assault Helicopter Battalion.